Rag & Bone has set up shop in the Strand arcade, on the corner of Elizabeth and Little Bourke streets. It occupies the small 130 square-metre space beside COS and Acne Studios, in a spot once occupied by Nobody Denim and the now-defunct FAT. However, the space bares little to no resemblance of its former shabby-chic fit-out. For such a small space, they’ve done a clever job of creating an enticing interior that vibes off New York City’s signature minimalist style. 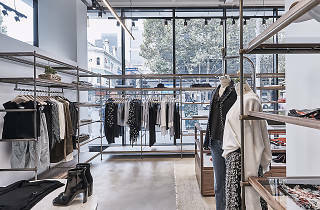 The Strand’s glass and steel exterior opens up the space, as do the brass shelves and high ceilings fitted with custom tube pendant lighting. Known for luxe denim and cool basics, the store is separated into two sections: the ready-to-wear looks (clean, crisp whites, tasteful florals and stripes), and the denim portion. The label initially launched with a men’s line in 2004, and now features women’s clothing, footwear and accessories. Interestingly, Rag & Bone won’t be selling menswear in their Melbourne store, though the classic tailoring and clean silhouettes do lend themselves to a fairly androgynous style. 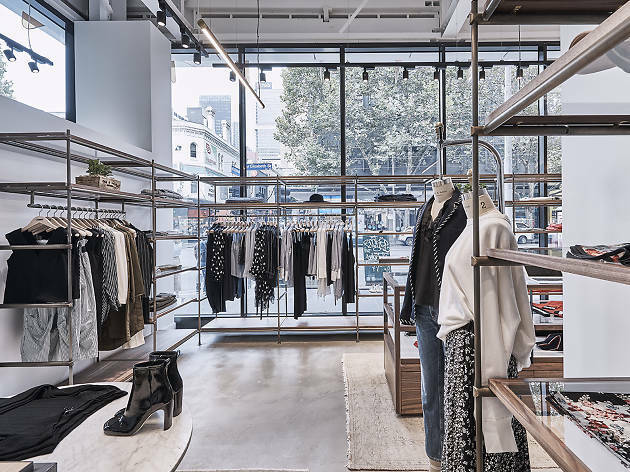 Rag & Bone was previously stocked in limited supply in Australia, including at fashion boutique Incu, run by Sydney-based brothers Brian and Vincent Wu, who have assisted Rag & Bone set up shop in Melbourne. Want more insider tips? Check out our ultimate shopping guide to Melbourne.